Forget gifting scarves and gloves, give another type of warmth this Holiday Season. Stay in the Island state of mind, regardless of the time of year or how low the mercury dips, with a bang-up selection of Jimmy approved gifts from Margaritaville Caribbean. We’ve pulled together a list of our Top 10 festive gift options to delight the Parrot Head in your life. 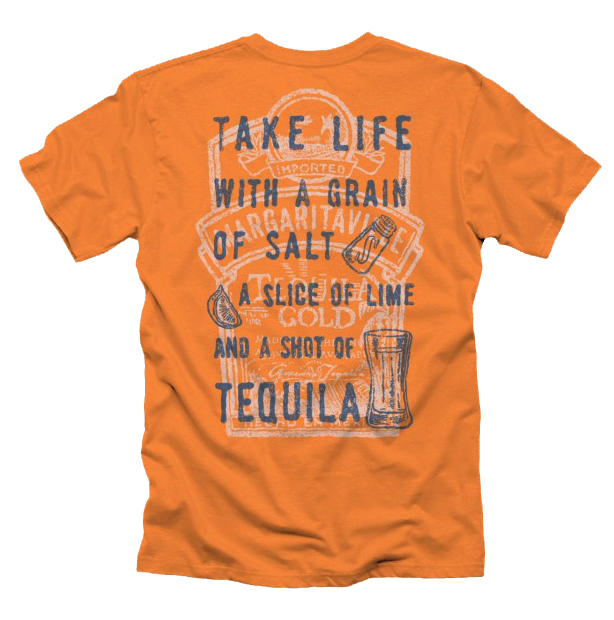 Take Life with a Grain of Salt, A Slice of Lime…And a Tequila Shot. The perfect t-shirt for your laid-back tequila connoisseur. Sunny burnt orange in color and featuring the Margaritaville Tequila logo, this 100% cotton t-shirt is customizable with your favorite Margaritaville Caribbean locations. Available in sizes Small to 3X to fit every Parrot Head. Wear your Heart on Your Sleeve…and a Margaritaville Logo on your Chest. Get her the gift that keeps on giving with this heathered, cotton scoop neck Margaritaville Caribbean logo t-shirt. Perfect for your next Island getaway, this tank affords the lucky lady in your life the opportunity for discounted drinks when she dons her new favorite shirt at any Margaritaville Caribbean location. Beer is Too Cold, I Gotta Go Where It’s Warm. The perfect vessel to hold 16 ounces of delicious Land Shark. Raise a glass to warmer days and even warmer memories every time you imbibe. 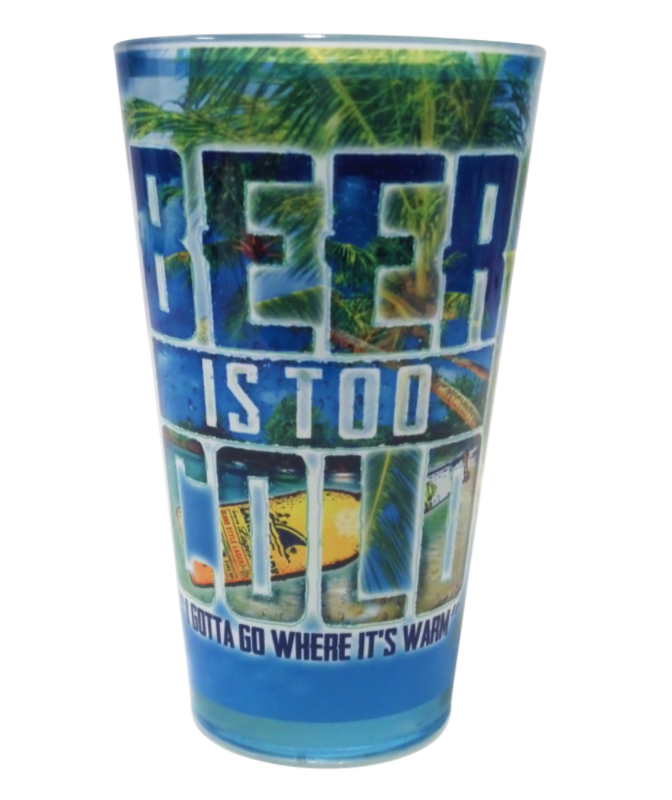 Exclusive shipping from Jamaica, this pint glass is an awesome collector’s item. As if you needed a reminder! A fantastic clock for that person on your list who’s building their own Margaritaville basement bar or poolside tiki area. Grab a cool drink and relax, the hand is always on 5 with this collectible timepiece. Take life (and a shot of tequila) with a grain of salt. 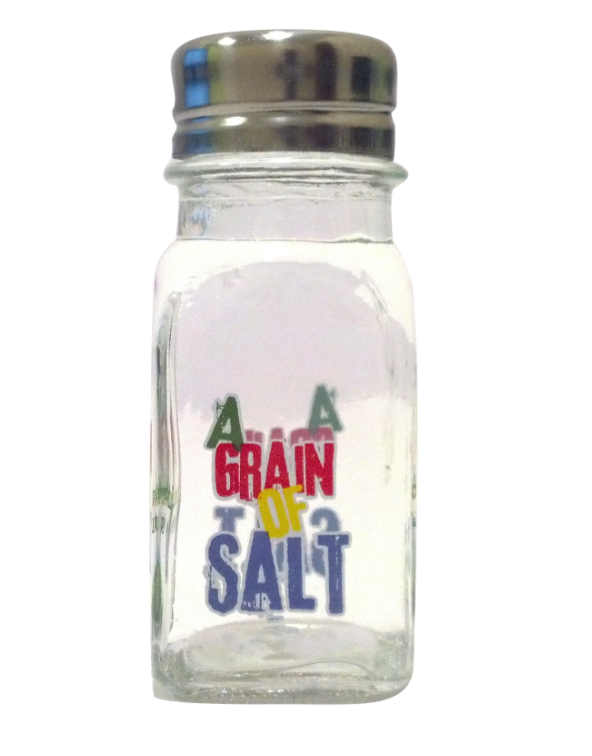 This souvenir salt shaker is an excellent bar accessory for your tequila tasting, cocktail shaking Parrot Head host or hostess. Round out this gift with a bottle of Jimmy’s own Margaritaville Tequila. The morning after a tequila-filled evening—or the first morning home from vacation— can be rough. Luckily, there’s a Margaritaville Caribbean ceramic coffee mug to impart island vibes to that special someone each and every morning. Make it a true cup of island goodness with a bag of Jamaican roasted Blue Mountain Coffee. 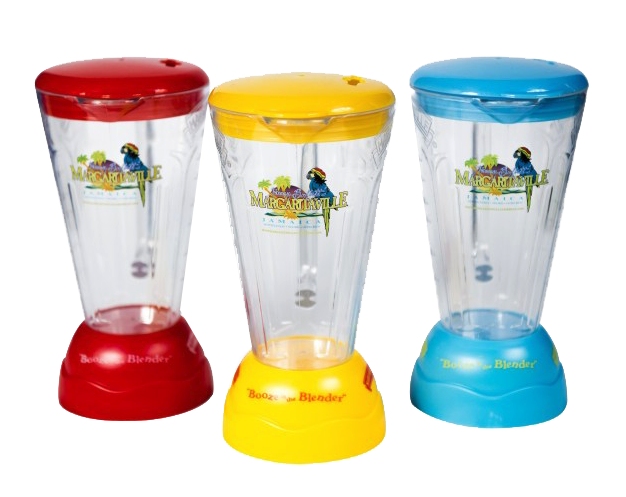 Give your favorite parrot head this iconic blender cup to bring back memories of turquoise waters and swaying palms with every sip. Holding 22 ounces of slushy margarita goodness, this plastic souvenir mug is travel-friendly and gives its recipient amazing drink discounts at each of our Margaritaville Caribbean locations when they use it on vacay. Trespassers Will Be Offered a Shot. Give your favorite budding bartender this rustic, tiki-inspired sign to adorn the walls of their home bar. The same sign that graces the beaches and poolsides of our Margaritaville Caribbean locations, pair this gift with a classic logoed Margaritaville Caribbean fluted shot glass. 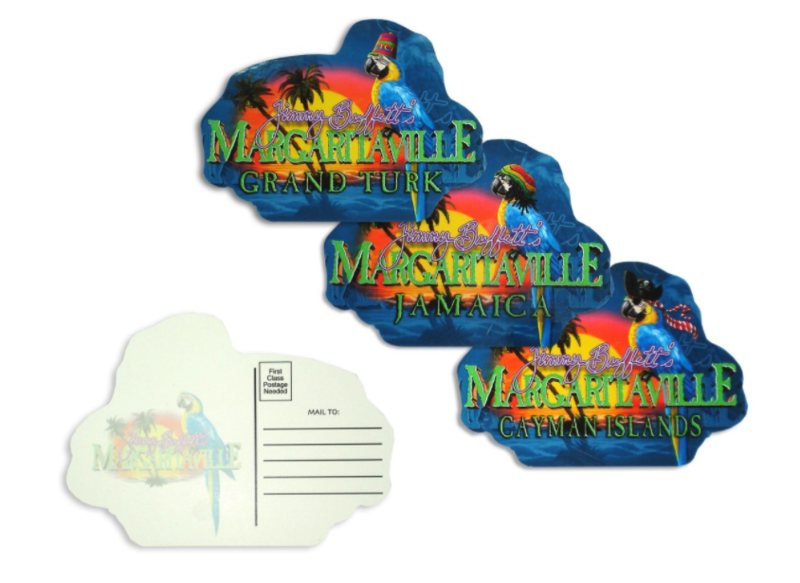 Give the humble brag in your life the perfect vehicle to brag about their sunny tropical exploits with these Margaritaville Caribbean branded souvenir postcards. At $1.20 each, why not spring for all three logos—Jamaica, Grand Turk, and Grand Cayman—to give them some future vacation inspiration. Dream of an Island getaway, even during traffic. This three parrot logoed Margaritaville Caribbean keychain is the perfect reminder that paradise is just a flight—or margarita—away. A great stocking stuffer for any Parrot Head. Feeling inspired? Scratch those remaining names off your list by heading over to our online shop to get your Margaritaville Caribbean swag in time for the Holidays.